Who says you can’t enjoy a warm, hearty and satisfying meal when you’re trying to lose weight? 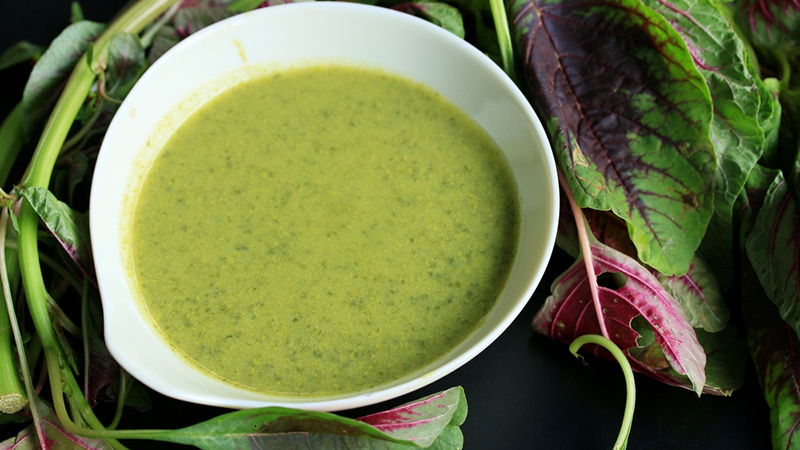 Soup is a dream come true for dieters and healthy eaters. 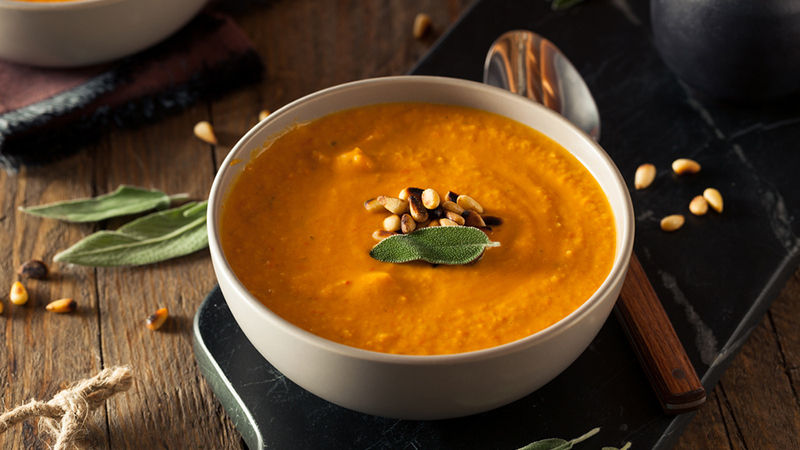 Comforting, delicious and packed with nutrition, the right soup can fill you up, without any of the extra calories that typically come with heavy meal. They key is to make your own soups at home with fresh, clean ingredients. 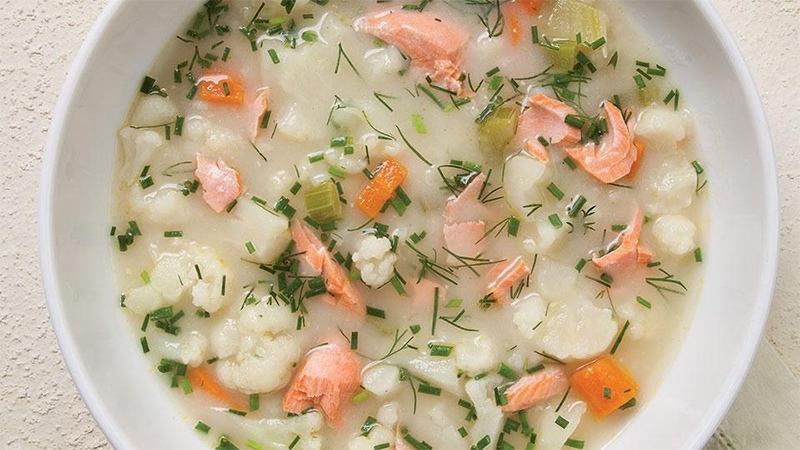 These 10 delicious soup recipes are oh-so-tasty and won’t break your diet. Heat 2 tablespoons of olive oil in a large pot over medium heat. Add celery, onions, bell peppers and carrots to the pot and sauté the veggies until they’re a bit tender. Stir in the garlic, chicken broth, tomatoes and cabbage. Bring everything to a boil and then immediately reduce the heat. Allow it to cook until the cabbage is tender. Stir in the oregano, basil, red pepper flakes, salt and pepper. Enjoy! Recipe from Divas Can Cook. 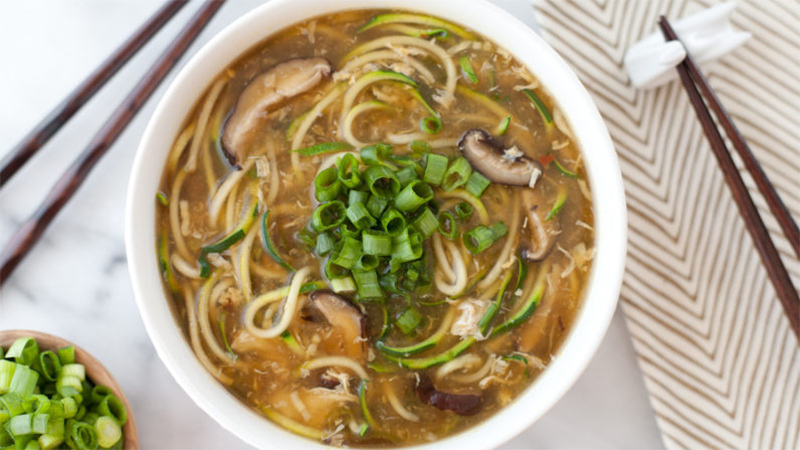 Make zucchini noodles with a spiralizer. In a large pot, heat the olive oil over medium-high heat. Add the minced ginger and cook, stirring, for 2 minutes. Add the shiitake mushrooms and a tablespoon of water, and cook until the mushrooms begin to sweat. Add 7 cups of the vegetable broth, the remaining water, the red pepper flakes, tamari sauce, and 1 1/2 cups of the chopped scallions. Bring to a boil, stirring occasionally. While all that is cooking, mix the remaining cup of vegetable broth with the cornstarch and whisk until completely smooth. While stirring the soup, slowly pour in the beaten eggs in a thin stream. Continue stirring until all the egg is incorporated. Slowly pour the cornstarch mixture into the soup and cook for about 4 to 5 minutes to thicken. Season to taste with salt and pepper, and add the spiralized zucchini noodles to the pot. Cook, stirring until the noodles are just soft and flexible. Serve topped with the remaining scallions. Recipe via Snixy Kitchen. Soak dried beans for at least four hours or overnight. In a large pot, sauté onion, garlic and leek in olive oil on medium heat five to six minutes until softened. Season with salt and pepper to taste. Add beans, veggie broth and water and bring to a boil. Reduce heat to medium-low and simmer until beans are cooked, 25 to 35 minutes. 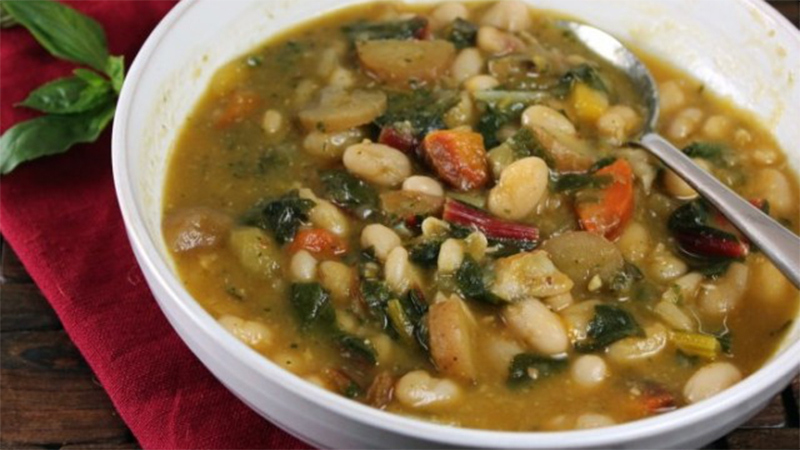 Once beans are cooked, add potatoes, carrots, chard and rosemary. Cover and simmer on medium-low for 10 to 15 minutes, until potatoes are fork tender. Swirl in pesto and serve. Recipe from Generation Y Foodie. Heat 1 tablespoon of the oil in a four- to five-quart pot over medium heat. Add the leek or onion, carrot, celery, rosemary and a generous couple pinches of salt. Cook, stirring occasionally, until the vegetables begin to soften, about six minutes. Add the tomato paste and garlic and cook until fragrant, about 45 seconds. Add the broth, and Parmesan rind (if using). Bring to a boil, reduce the heat to medium low, and simmer gently until the vegetables are tender, about 15 minutes. Meanwhile, heat the remaining 1/2 tablespoon oil in a 10-inch nonstick skillet over medium-low heat. Add the sausage meatballs, and cook, flipping about halfway through, until browned and cooked through, about 10 minutes. 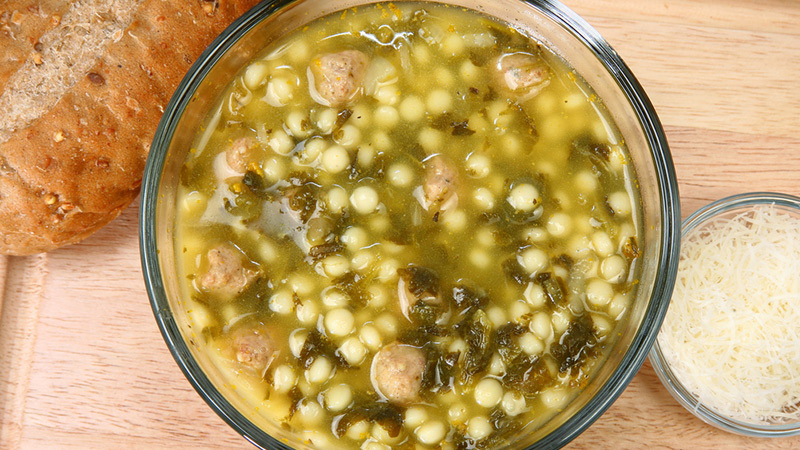 Add the kale to the soup; cook one minute, then add the meatballs (discarding any of the rendered fat and oil) and the beans; cook for four more minutes to meld the flavors. Stir the cider vinegar into the soup and season to taste with salt and pepper. Ladle the soup into bowls and garnish with grated parmesan. Recipe from PopSugar. Stir potato flakes (or leftover mashed potatoes), dill (or tarragon) and mustard into the soup until well blended. Return to a simmer. Add the salmon and reheat. Season with salt and pepper. Recipe from Eating Well. Place seaweed in a medium bowl, cover with water and let soak for 20 minutes. Combine steak (if using), scallions, garlic, sesame oil and pepper in another bowl. 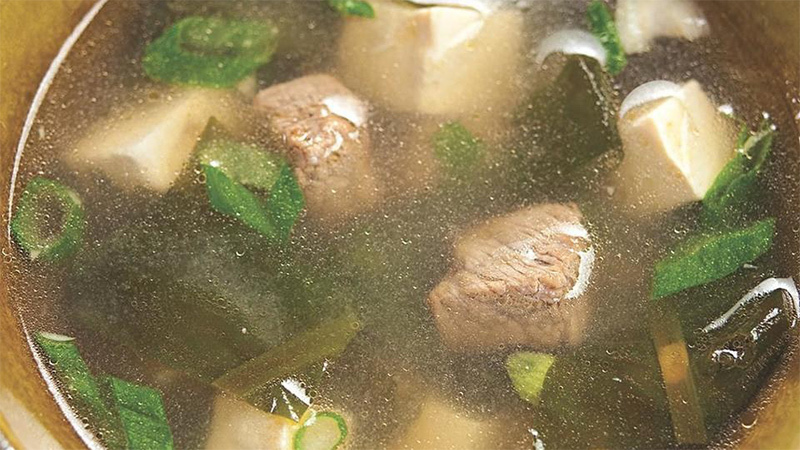 Place 4 bouillon cubes in a large pot and cover with 4 cups water. Turn the stove on and bring to a boil. Then add the frozen vegetables (spinach and onion) and raw celery, so the flavors seep as it boils. Stir occasionally so the bouillon separates, the vegetables get mixed together and the flavors seep. When the soup begins to boil, let it continue for about 5 minutes. Turn the stove to simmer and let the soup simmer for another 10 to 15 minutes until the celery is very fragrant. Add pepper to taste and enjoy. Recipe from Fat Secret. Heat olive oil in a Dutch oven over medium-high heat. Add onions to pan; sauté for five minutes or until tender. Stir in sugar, pepper, and 1/4-teaspoon salt. Reduce heat to medium; cook 20 minutes, stirring frequently. Increase heat to medium-high, and sauté for 5 minutes or until onion is golden brown. Stir in wine, and cook for one minute. Add broth and thyme; bring to a boil. Cover, reduce heat, and simmer two hours. Preheat broiler. Place bread in a single layer on a baking sheet; broil two minutes or until toasted, turning after one minute. Place eight ovenproof bowls on a jelly-roll pan. Ladle one cup of soup into each bowl. 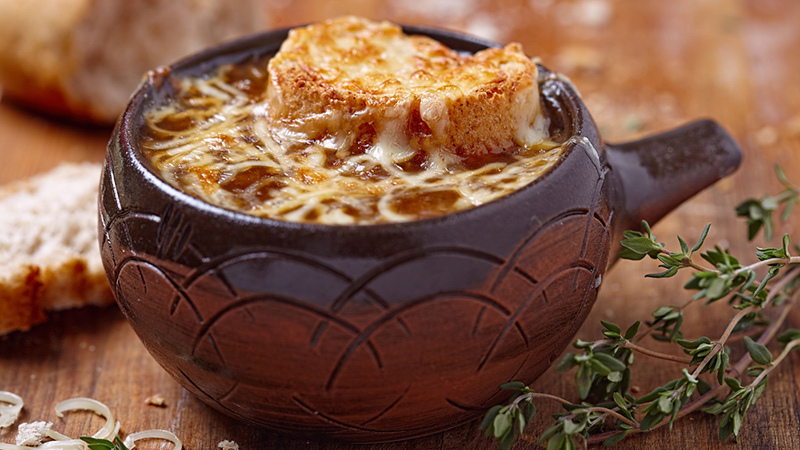 Divide bread evenly among bowls; top each serving with 1 cheese slice. Broil 3 minutes or until cheese begins to brown. Recipe from My Recipes. Slice onions, peel carrots and dice ginger. Add stock and season to taste. Boil for about 30 to 40 minutes. Puree in a blender and voila! 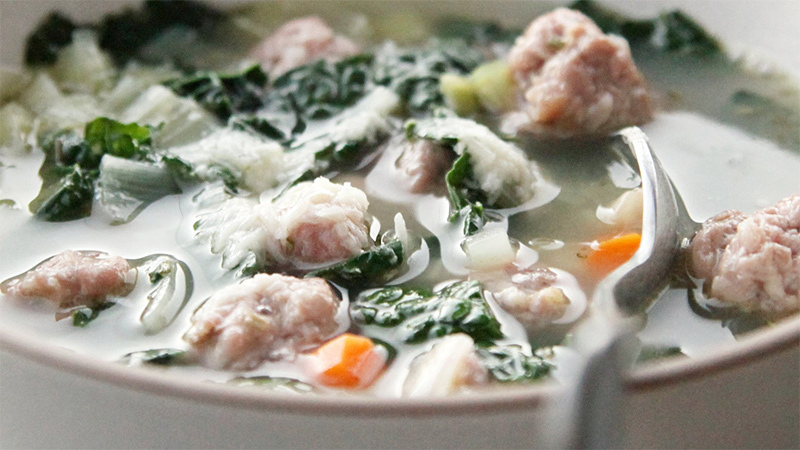 Delicious, aromatic, non-fat soup. Recipe from Fat Secret. 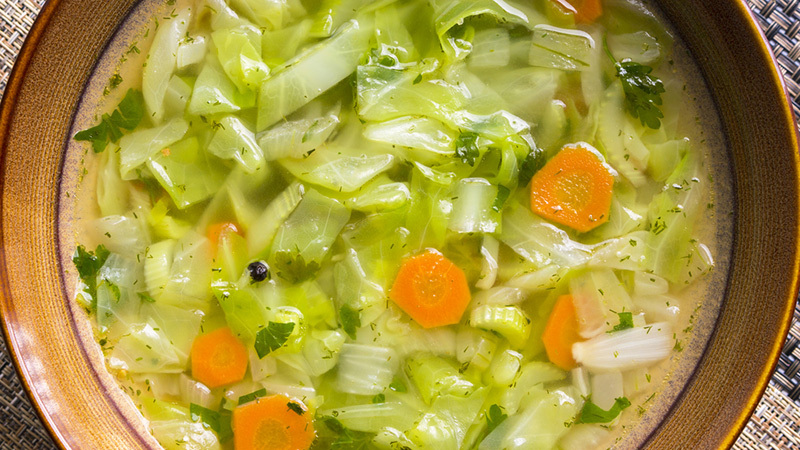 To make the soup: Bring the broth to a boil in a large pot over medium-high heat. Add the meatballs and curly endive and simmer until the meatballs are cooked through and the curly endive is tender, about 8 minutes. Whisk the eggs and cheese in a medium bowl to blend. Stir the soup in a circular motion. Gradually drizzle the egg mixture into the moving broth, stirring gently with a fork to form thin stands of egg, about 1 minute. Season the soup to taste with salt and pepper. Ladle the soup into bowls and serve. Finish soup with parmesan cheese if desired. Recipe courtesy of Giada De Laurentiis.